I’m celebrating, because this week I sent off the final draft of my biography of Charles Williams to Oxford University Press – and a new collection of poems to Carcanet Press. Both, I hope, for publication in autumn 2015. I’ll talk about the poems in a future post. 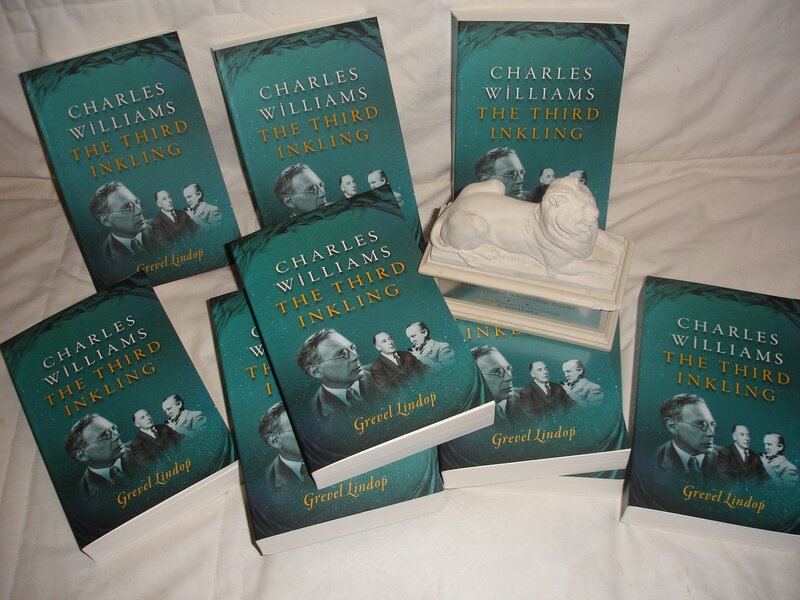 This time I’ll concentrate on the Charles Williams biography. 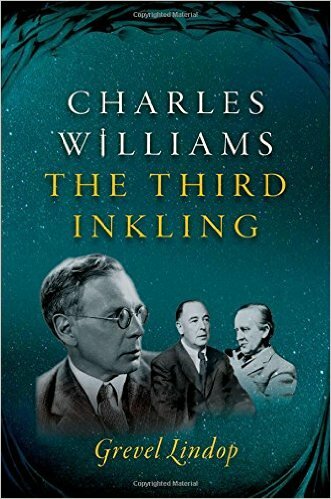 It will be called Charles Williams: The Third Inkling because Williams was a central member of the Inklings, the informal group of Oxford writers whose best-known members were C.S. Lewis and J.R.R. Tolkien. 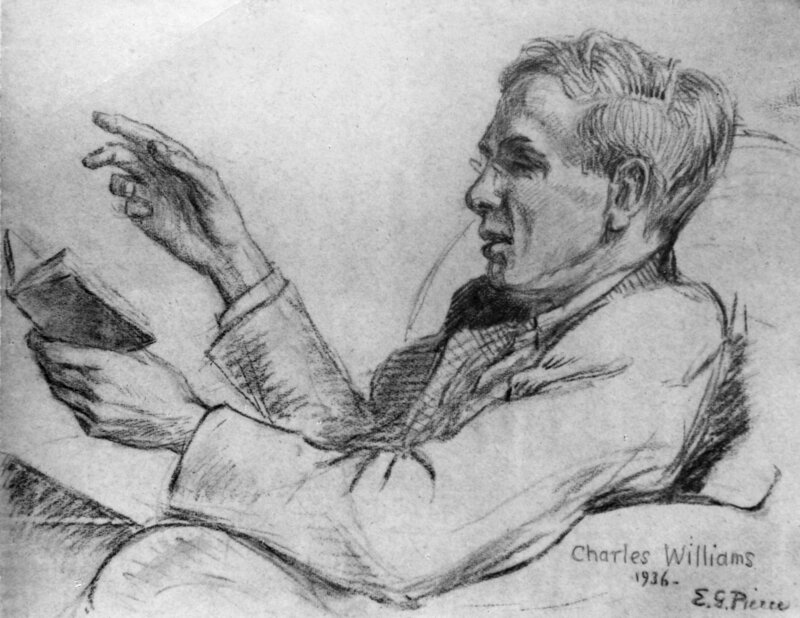 Charles Williams – poet, dramatist, writer of metaphysical thrillers, critic, theologian, biographer, occultist and amazingly charismatic lecturer – lived from 1886 to 1945 and is far too little known. His life is a fascinating one, and much of his work is well worth rediscovering. And Williams is a writer to be reckoned with. Ruth Rendell nominated his metaphysical thriller All Hallows’ Eve as her favourite book on BBC Radio 4; Sir Geoffrey Hill in his Clark Lectures called Williams ‘a great critic’ and his book The English Poetic Mind ‘a critical masterpiece’; C.S. Lewis said of Williams’s Arthurian poems, ‘they seem to me, both for the soaring and gorgeous novelty of their technique and for their profound wisdom, to be among the two or three most valuable books of verse produced in the [twentieth] century’. Charles Williams had an extraordinary life, and thanks to newly-opened archives containing thousands of letters, and more than twenty interviews with people who knew him, I have been able to trace his life in vivid – and, I think, highly readable – detail. 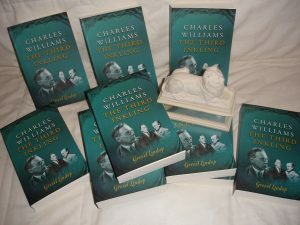 We follow him from the poverty of his childhood in London, through his rise from humble proof reader to senior editor at the Oxford University Press, where he had a long and painful love affair with a colleague; we trace the gradual development of his poetic talent, alongside his involvement with Rosicrucian occultism – where the book allows you into the secret initiatory rituals Williams underwent – and on to wartime Oxford, where he becomes a close friend of Lewis and Tolkien and completes his remarkable late flowering as the twentieth century’s major poet of Arthur and the Grail. 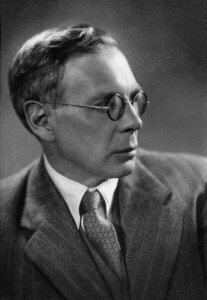 Williams is the missing centrepiece from the story of twentieth-century British literature. At the start of his career he was associating with Edwardian poets Alice Meynell and Robert Bridges; later his closest friends included not only C.S. Lewis and Tolkien but T.S. Eliot and Dylan Thomas; he was an inspiration to young poets of the World War II generation like Sidney Keyes, Drummond Allison and John Heath-Stubbs; and he drank in the Oxford pubs with Kingsley Amis and Philip Larkin. It’s an astonishing story. I owe great debts of gratitude to innumerable people who have helped with the work, including former friends and students of Charles Williams (notably the late Lois Lang-Sims), Williams scholars including David Llewellyn Dodds, and the trustees and archivists of the Bodleian Library at Oxford and the Marion E. Wade Center at Wheaton College, Illinois, the two libraries that hold the major share of Williams’s papers. I was generously supported by both an Invited Visiting Scholarship at St John’s College, Oxford, and a Clyde S. Kilby Research Grant from Wheaton College, Illinois. The Charles Williams Society and the Society of the Inner Light also gave generous support. The many others who helped in so many ways are acknowledged in the book. There’s much more to say, and of course there’s more work ahead = copy-editing queries, proofs to correct, indexing, and so on – but right now I’m heaving a big sigh of relief and looking forward to Christmas! I hope you have a wonderful holiday and a very happy New Year.